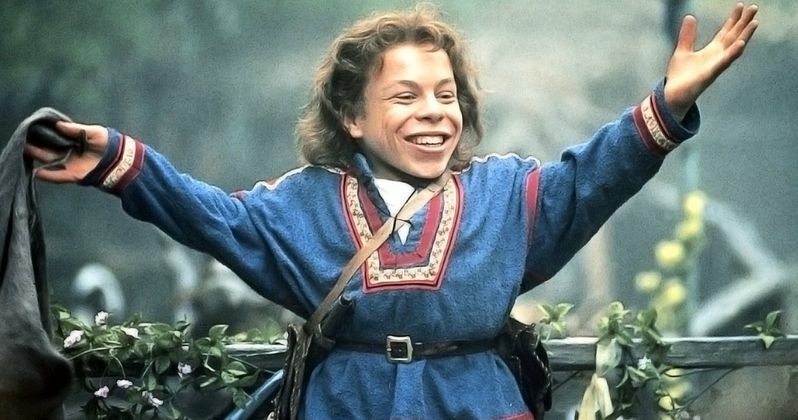 Warwick Davis would love to return for Willow 2, 30 years after the original. In a new interview, the actor said that he has talked to Jonathan Kasdan and Ron Howard about the possibility of making the long-awaited sequel. The first installment wasn't a huge box office sensation, but it has gone on to gain a cult following over the last several years and still holds up to this day. When Howard stepped up to take over Solo: A Star Wars Story, he and Davis had some time to talk about the possibility of a Willow 2. Warwick Davis has been involved with the Star Wars franchise since Return of the Jedi, where he played the lead Ewok, Wicket. He later starred in 1988's Willow as Willow Ufgood alongside Val Kilmer's Madmartigan. The fantasy film was directed by Ron Howard and produced by George Lucas, who says that he had the idea for the movie as far back as 1972. In a new interview, Davis was asked about Willow 2 and he had this to say. "That would be hugely exciting... revisiting Willow as a character, now he's older and wiser and perhaps even a better sorcerer, who knows by now, would be brilliant fun. I would absolutely love to do that." Ron Howard had mentioned back before Solo came out that he was talking to Lucasfilm about making Willow 2. At the time, the director said that they were seriously exploring the idea of a sequel and said that fans should keep their fingers crossed. As it turns out, Howard didn't just talk to Lucasfilm about the project. Warwick Davis explains. "Ron and I, we chatted about Willow quite a lot. Jon Kasdan who was obviously the screenwriter on Solo, he's a pretty big fan of Willow, it's one of the reasons he got into screenwriting and filmmaking. He and I talked a lot about where we could take Willow in the future." When Ron Howard first mentioned that there were talks of Willow 2, he noted that the sequel would focus on Elora Danan as well as Willow Ufgood. The idea sounds logical, and it's more than likely what Jonathan Kasdan and Howard talked to Warwick Davis about. On one of the more memorable days of filming Solo, Davis found himself in an impromptu meeting about Willow 2. Davis says. "I remember a particular day which was very special on Solo. I was working with the second unit and Ron, and I got a message through saying, oh George (Lucas) is here today, he'd like to see you. So, I went on set, it was the day they were on the Falcon. I remember myself, George, Jon Kasdan, Kathy Kennedy all chatting about Willow. I would think this is like the stars have aligned right here. If anybody's going to get a sequel or something else made in regard to Willow, this is it and this is the time to do it. Who knows, kind of watch this space, I guess." The idea of Willow 2 has been talked about for years, but now seems like a pretty good time to make it. Ron Howard wants to do it, and so does Warwick Davis. Disney and Lucasfilm were very happy with what Howard pulled off with Solo, especially in such a short amount of time, so hopefully the box office woes of the film don't prevent a Willow sequel from happening. You can read the rest of the lengthy interview with Warwick Davis and his thoughts on [Willow 2} over at CinemaBlend.